Summer is a love hate relationship for me. I love the sunshine, tanning, beach dates, and that I'm not recovering from a birth this year. But I HATE feeling hot, sticky, and just plain yucky. Summer isn't even here yet and already there are moments when I don't feel so fresh, aka that yucky feeling. Thankfully I have Summer's Eve® Blissful Escape™ Cleansing Wash and Cleansing Cloths by my side for those not-so-fresh moments. Because between being a full time mom, dance mom and baseball mom, I need a best friend to keep me feeling as fresh as I want to feel! I mean, a mom's gotta stay fresh! The one thing I love about Summer's Eve® is that it's made with simple ingredients-free from dyes and parabens-so you can feel good about what you're putting on your body. Their washes and cloths are designed to help stop odor, or as I like to call that yucky feeling, before it starts so that no matter what, you're ready to feel great, especially in the summer. And the best part? 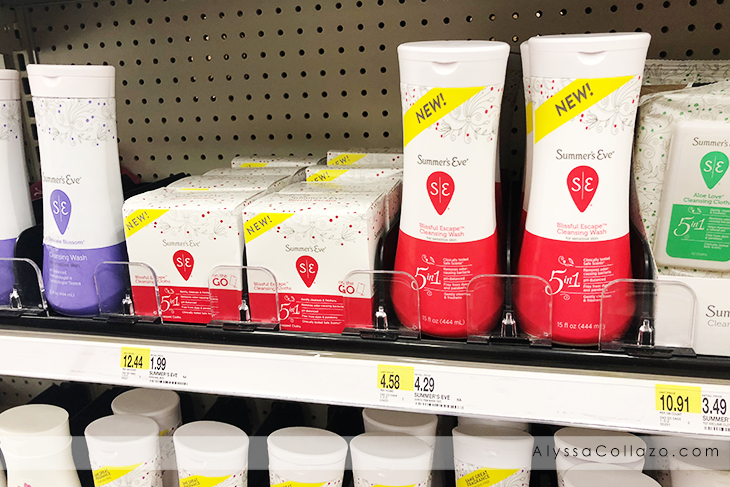 Summer's Eve® Blissful Escape™ Cleansing Wash and Cleansing Cloths are available at your local Target. And who doesn't love shopping at Target? I'm there weekly! So now I can pick up my groceries, vitamins and Summer's Eve®. It's a total win win for me. 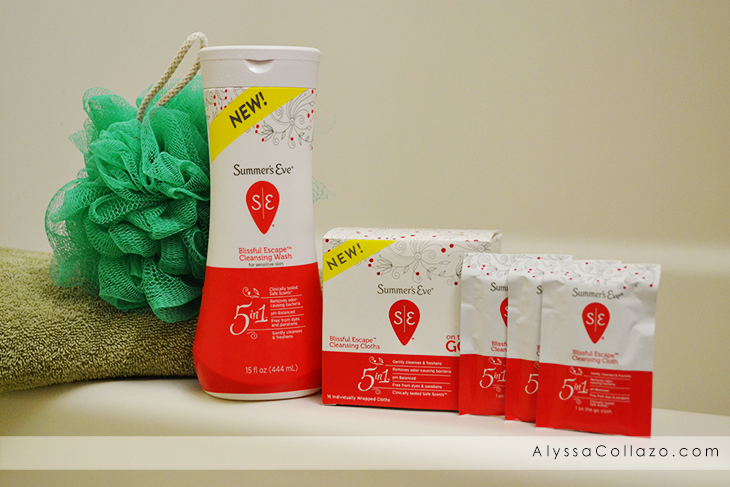 If we are going on a small summer getaway, I'm always sure to pack my Summer's Eve® Blissful Escape™ Cleansing Cloths because who wants to go on vacation worrying about not-so-fresh moments? Not I. 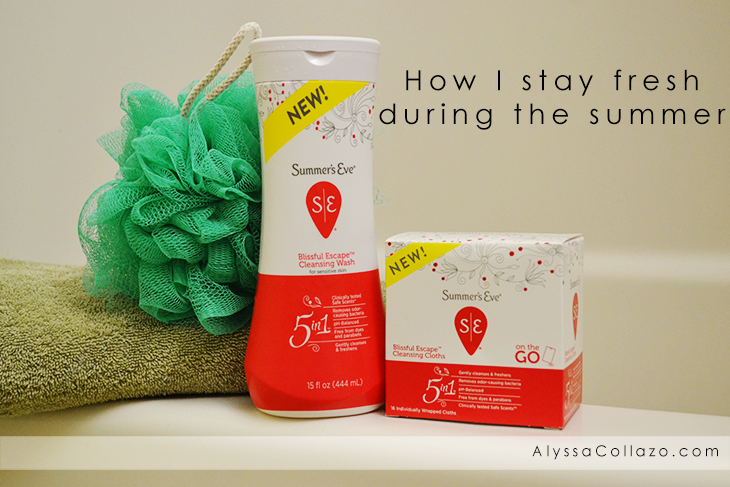 With Summer's Eve® by my side I don't have to worry about that yucky feeling and I can spend more time enjoying my daughters and summer! Summer's Eve® Blissful Escape™ fruity fragrance features fresh berry notes, including top fragrance notes of orange, cranberry and banana. Middle notes are mango, jasmine pineapple and rose. Base notes are peach, coconut, and apple. Talk about smelling like a Blissful Escape™ and love at first smell. 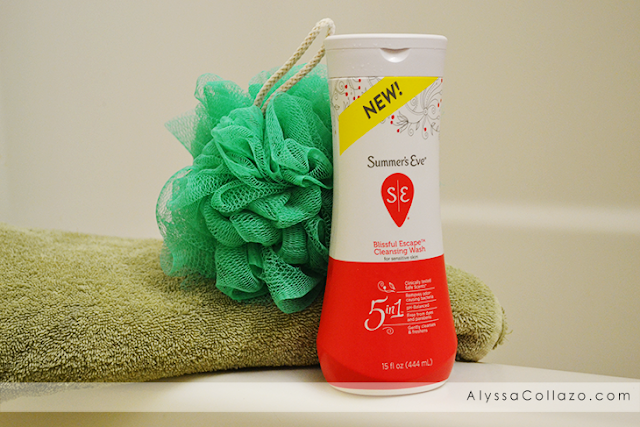 Are you ready to try Summer's Eve® Blissful Escape™ Cleansing Wash and Cleansing Cloths? Check your local Target and make sure you use your Cartwheel App to save 20% through June 30, 2018!